This month, I landed 3 new clients, made $200 for just 1 days worth of work, and was featured on 2 different websites. One of which has an audience over 30,000 on Twitter alone. I’ve improved my affiliate income and ended up making over $85 in 1 day! Is that even real life…? 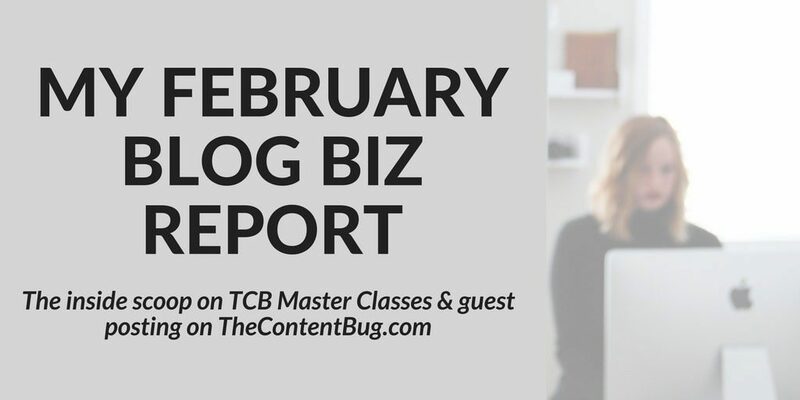 I’ve also launched my TCB Master Classes on YouTube, launched my guest blogging series on TheContentBug, and worked my booty off on a very special project coming soon! Plus I got QuickBooks… I mean that’s when you know you’re really a business owner. So you could say that February has been good to me. I’m writing this on the last day of February. And it’s unreal to think that tomorrow starts my birth month. This month has been amazing but honestly, it was one of the slowest months of my life. Maybe it was because I got so much done that I felt like it took forever. I was able to accomplish more than I typically accomplish in a 30 day month. And I did it all in 28 days?! Seriously, this month has been amazing. And I can’t wait to see what March 2018 will bring. But for now, let’s get to the good stuff and talk about all the details that happened this month. Including my website, income, and social media report. Plus I’m sharing my thoughts on the February Book Club book at the end! 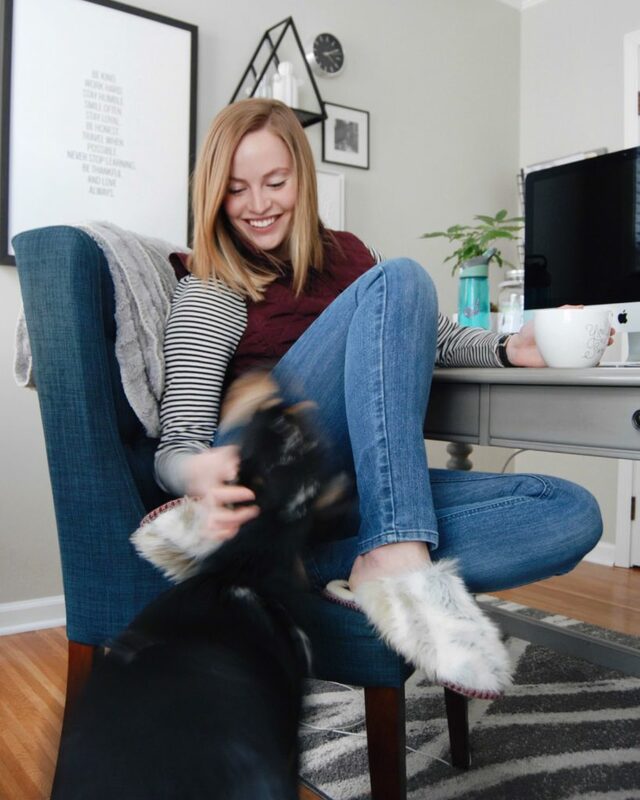 There are 2 new things on TheContentBug this month that are worthy of a special shout out! The first is my TCB Master Classes that are held on my YouTube Channel. And the second is the start of guest features on my blog! In January, I taught my first in-person class here in Rochester. It was amazing and so much fun! I could see the ah-ha moments in my students’ eyes and their questions could tell that they were learning so much! I left that class inspired to find more opportunities to teach. But I struggled with the idea because I wanted to share these classes with everyone in my audience. I didn’t just want to target Rochester local people. So I decided to create a spin-off of the typical webinar. How many webinars have you attended where the last 20 minutes are spent trying to sell you something?! YUCK! I mean sometimes I just want some raw value without you trying to sell anything. So I decided to start my TCB Master Classes this month. TCB Master Classes are held on my YouTube Channel so that you can watch them anytime. It’s not like the 2-day reply that’s available for most webinars. You get access fo’ life! And my 3rd Master Class is going live today, March 2nd, at 1 pm talking about how to take and edit your own Instagram photos! So make sure that you subscribe to my YouTube channel and hit the notification button to be alerted when a new Master Class is live! As of right now, I’ve been hosting 1 class a week – every Friday. But this schedule is going to change soon once I’ve got a good chunk of them created for you guys! The next super exciting thing is the launch of my guest features on TheContentBug.com! This month, I was blessed to be featured on 2 different websites. Each of these were guest blog posts that I wrote for their websites. If you are new to guest blogging… here’s the deal. You write a blog post and another blogger or website shares it on their site. This helps to get your name and content in front of another person’s audience helping to grow and expand your reach dramatically! Plus it builds quality backlinks to your website which is good for your SEO. So I figured, why the heck not open up TheContentBug for guest posting for my amazing readers! I already launched 1 guest post written by Youness Bermime talking about finding and connecting with influencers in your niche. Seriously an amazing blog post if you haven’t check it out yet. And then I’ve got 3 more blog posts planned for you guys to go live over the next few months! But I’m always looking for more people to feature. So do you want to be a part of the TCB tribe? There are 2 ways that you can go about it. If you want to talk about digital marketing, social media, blogging, SEO, or anything else related to growing your success online, you can submit 3 blog post ideas to me by sending me an email at thecontentbug@gmail.com. OR you could decide to be featured in my Create Your Success Online Series. You just have to be someone who is using the online world to follow your passion, grow your business, or find your way in this world. If you are a go-getter and would consider yourself a blogger or online entrepreneur, then you could be featured in the Create Your Success Online Series! Simply send me an email with your story and your website/social media channels so I can learn a little bit more about you. If I think it’s a good fit, I’ll send you more information! I’ve been trying my best to not pay so much attention to my website analytics. For a while, I was checking it every morning. Then I told myself that I would only check it on Friday. But I not only realized that it was extremely unhealthy, but it was also a giant waste of my time. So I’ve been trying to check it less and honestly care less about my website traffic. 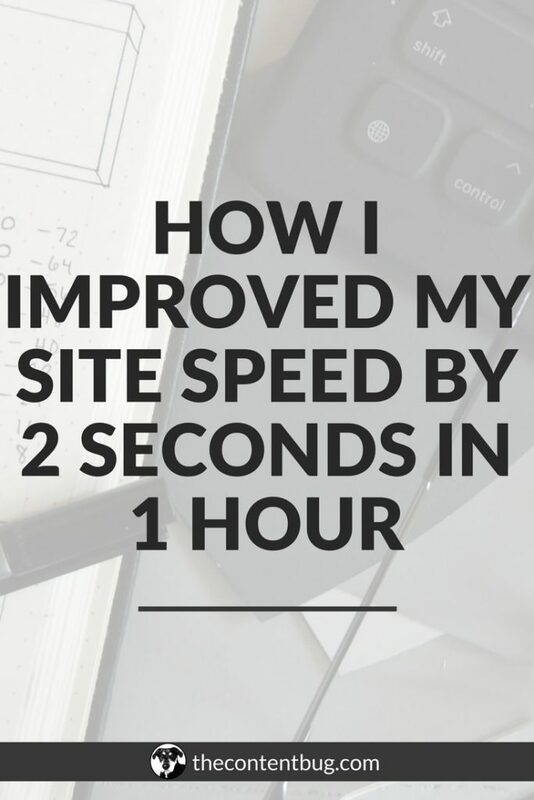 It sounds backward compared to what I preach about growing your pageviews. But for this month, I needed to slow down with the need to be growing on a daily basis. With that said, I think I checked my traffic only twice this month! Taking the screenshots below will be the 3rd time. I have no explanation for this because my email list was still growing, my Pinterest was performing well, and I even generated more collaborations than ever before (which is said to improve pageviews). The one thing that I am happy with is that my bounce rate is actually decreasing! And my bounce rate on pages that aren’t my blog posts is averaging around 40%! I expect people to bounce on blog posts. I try my best to keep them around but I expect them to bounce. However, my other pages are the real money makers! So I’m crazy excited that I’ve improved my bounce rate on those! 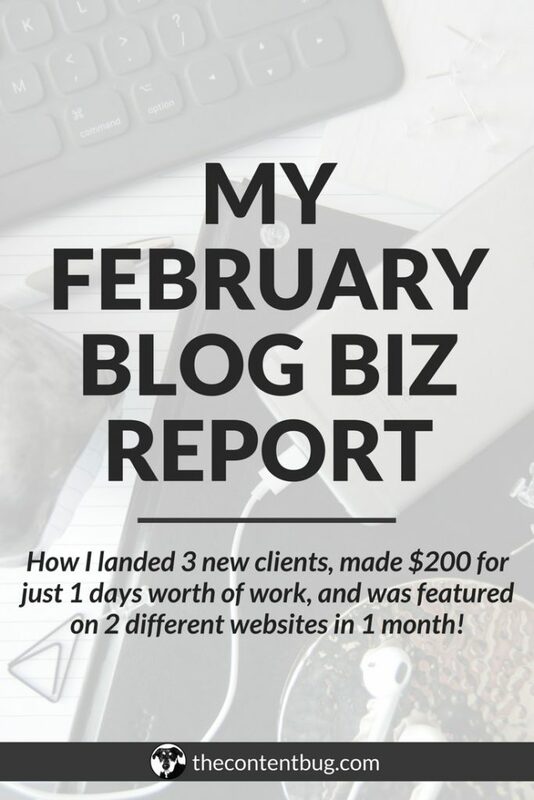 This month I ended up landing 3 clients. 2 of them were a once and done kinda deal and the other one won’t start until mid-March! So my income was still low this month compared to where I want to be! This month I made $393.01. $81.01 from affiliate income and $312 from client work. This reflects the actual money that hit my bank account. So this does not count for the money I made with my ads and it doesn’t count for the affiliate income that hasn’t hit it’s threshold yet for a payout. I know I explain this every time… I just want to be clear on what income is flowing in each month. Let’s do a breakdown of each of my social media accounts and my email list to compare to the numbers I had at the end of last month! These goals were set at the beginning of the year to achieve in my first quarter of business. So from January 1st to March 31st. Like I do every time… I set crazy goals for new social media platforms because I have no idea how difficult or easy it is to grow. Since I started my YouTube channel at the end of 2017, I had no idea what goal to set for myself. Now I know that 1,000 was a little ambitious! One thing I noticed on my email list this month is that I had an abnormal amount of unsubscribes this month! Maybe it’s because I’m starting to send more emails than ever before. But I’ve also noticed a positive response from increasing these emails with people replying to my emails. So I’m happy with this growth! The one major thing I notice is that with the breakdown of how many followers and subscribers I gained this month, it’s going to be hard to achieve my 1st quarter goals. So I know that I need to work harder in some areas to get as close as humanly possible! But with that said, I just about doubled my YouTube subscribers this month! So I’m wicked excited and proud about that! I finished 2 books in February: Off Balance by Matthew Kelly and Yes Please by Amy Poehler. So first let’s talk about Off Balance. This book took me by complete surprise. I ended up buying it form the Barnes and Nobles sales annex because it was only $4! It sounded interesting with the cover that stated: “Getting beyond the work-life balance myth to personal and professional satisfaction”. To be honest, I didn’t realize that it was going to be so focused on the corporate world. I thought it was going to be more about actually balancing your work and life situation. But if I would have read it more closely, I would have known exactly what I was getting into. But I was OBSESSED with this book from the very start! I found it amazing, insightful, and full of great stories and strategies to implement into your life to find satisfaction in all areas. It honestly blew me away and is one of my favorite books I read recently. It did focus a lot on the corporate world which I can’t relate to right now but I still found everything relatable at the same time. Weird, right? But if you are looking to for a book to help you find meaning in your personal and professional life, this is a good one! This was the actual book I assigned for this month and I just finished it last night (2/27). I’ve always loved to read about people’s lives but recently I’ve mainly been reading self-help, personal development, and business books. So this is a little different from what I’ve been reading recently and I didn’t know what to expect from it. Alex and I LOVE Parks & Recreation and we are currently watching it a second time through. So he actually found this book in the Barnes & Noble sales annex (yet again) for me to read. It was hilarious with some raw honesty. Amy talked openly about her childhood, experience with drugs, and even her divorce. She was raw and real, to the point of absolute beauty. But then she would come in with some zingers that had me laughing out loud. She also included some funny portraits of herself to spice things up. On an unrelated note, this is the heaviest book I own! I have the hardcover copy and this sucker is heavy! I blame it on the style of paper that the pages are printed on. It’s high quality because the book does contain a lot of great imagery. But boy oh boy I could knock someone out with this book! Overall, I liked this book. I didn’t love it. I wouldn’t rave about it as my top books for you to read. But I did like it. And if you like Amy Poehler, then this is a great look at her life. I didn’t know anything about her before this, so I loved getting a look inside her head. This month I also started reading Think and Grow Rich. That will be the book I’ll focus on in the March Book Club! So if you want to join along, go ahead and get your hands on this book! Over the last 2 months, I’ve been working my booty off on something super special for you guys. You see, I’ve realized that one of the most common problems that bloggers have is that they want to grow their blog but they have no idea how to grow their blog traffic and income. I did an Instagram poll not too long ago and I realized that most of my audience doesn’t have a plan for growth! And it’s holding them back from the success that they deserve! 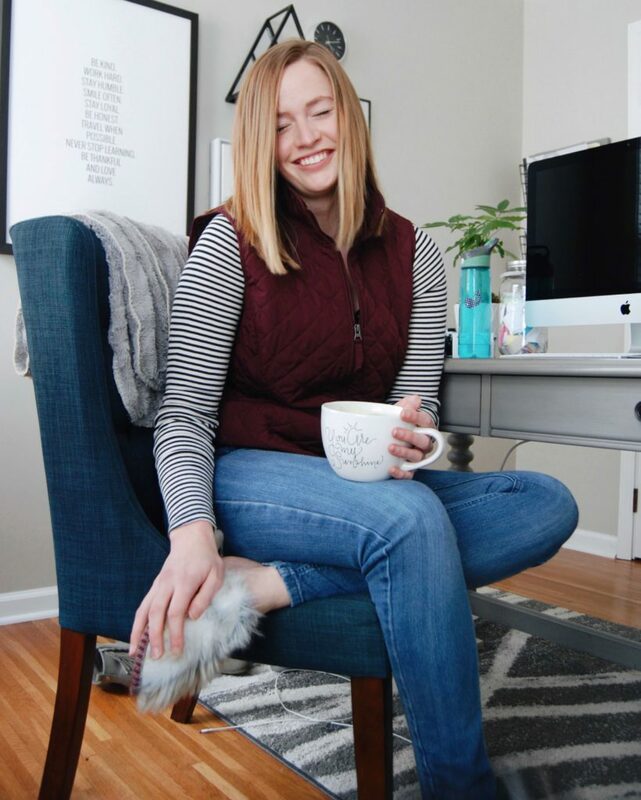 So if you are ready to create a plan, if you are ready to learn the secret strategies that have allowed me to grow my blog FAST, and if you want to learn how to turn your blog into a money making machine, then listen up! I’ll be launching The Blog Biz Bundle in March 2018! And this isn’t like any other online course or ebook you’ve seen before. I’ve been dropping hints on different social media platforms and even to my email list about what’s included. But I’ll be announcing all of the details really soon. Until then, make sure that you sign up to get email notifications about the bundle. You’ll also get access to the prelaunch sale that is exclusive just to the people that sign up with this link! Psssst. This isn’t the only thing being rolled out in March 2018. So stay tuned! Just stumbled upon your website from Pinterest and wow, I’m obsessed!! I’ll be binge reading all of your posts ASAP 🙂 Thanks for the amazing content! Hey Katie! It’s so nice to virtually meet you! I love your site, it’s very well designed, easy to navigate and your articles flow well. It’s interesting about your experience with YouTube, since their new criteria of 1000 subscribers and 4000 hours of view time… is going to make it difficult for some to become eligible for monetization. Anyway, I actually found your blog while helping a new friend out. Your SEO worked well, you were right at the top of my result from searching for “How to find popular group boards on pinterest.” My friend had asked me how I had gotten so many followers. I don’t think a little over 30k can be considered “many” and I have seen some people surpass that number almost overnight. I had to work for everyone of those followers and I have been on there for three years now. I love helping people out and am willing to go the extra mile for them if needed. So, I gave some pointers and sent them here. I’m also promoting you on my board, that’s dedicated to this topic. Here’s a link to my account: https://www.pinterest.com/josephrovira I have checked your boards out on Pinterest and I’m very impressed that you were able to get 600k monthly viewers. I am currently at 2M and I also saw it drop last month from 2.3M. It’s slowly getting back there and I was also a bit concerned. Though, I do have over 131k pins and do my best to keep from duplicating any of them. I also do cater to my followers and provide them the content they are interested in. Besides 80% of my followers are women and most of the content I provide is of interest them and I. The boards that I created for myself, that I never thought would get many followers actually became some of my most popular. I also generally designed to be as gender neutral as possible and thus can be repinned by anyone. This is starting to get long so I will wrap this up with some quick facts about myself. I’m happily married to Diana and are about to celebrate our 26th wedding anniversary. I’m mainly on Pinterest, because it’s fun and like their format. I have a BS in Computer Science and Math. I also have my Masters in Cybersecurity along with my MBA. You probably guessed correctly if you though that I’m in the Cybersecurity field. I came close to getting a degree in Humanities, since I love all the arts. On a side note, those with Humanities degrees are now highly sought after to help in the development of Artificial Intelligence. These people are needed to make AI more human. The objective is to have AI to better understand us and better serve our needs. I could on and on. So, I’m just going to stop here. Why can’t they add an edit function to these comments? As usual, I come back and am still smh. I usually stick with word and copy over, just did not think it would end up that long. Thanks for your long comment, I saw your other comment about wanting to edit it but I love all the detail you included. I’m a long commenter myself! Your Pinterest account is quite impressive and I want to thank you for featuring and sharing my content on your board and with others, I greatly appreciate it! With the recent changes to the Pinterest algorithm, I’ve been trying out a few new things to recommend to my audience, so if you have any pointers, I’m sure my audience would love them. Thanks again for your kind words and insight into the platform!